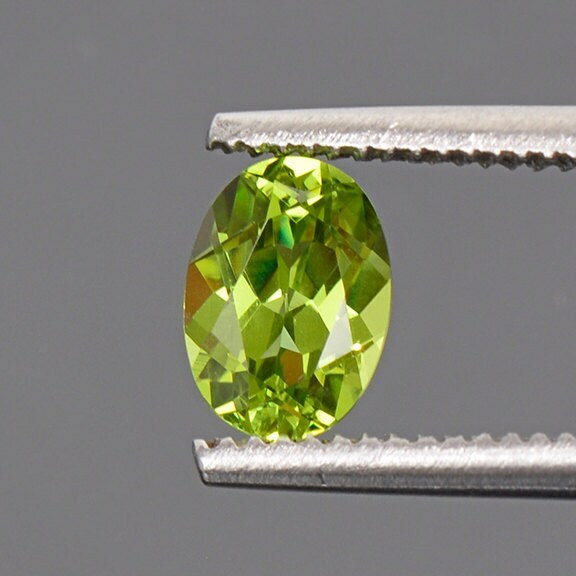 Excellent Green Grossular Garnet from Tanzania 1.00 ct.
Grossular is one of the most desired Garnet varieties on the market. 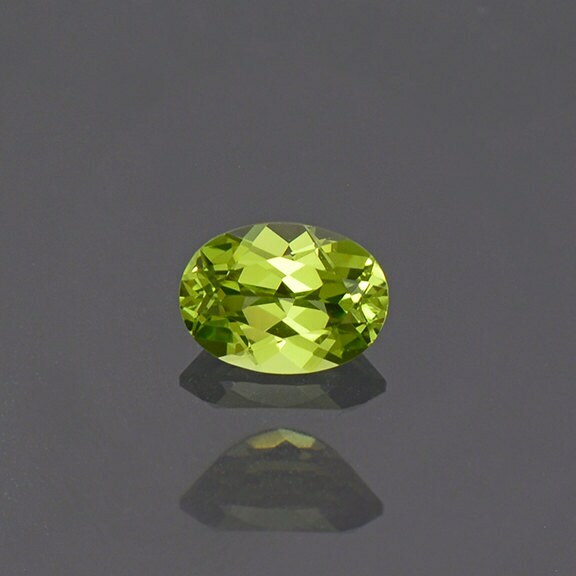 The Tanzanian material ranges in color from a deep saturated chrome green, like Tsavorite, to a bright mint color which is the Merelani material. 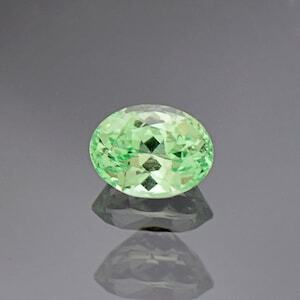 This stone is a lovely bright green color with a hint of yellow to it. 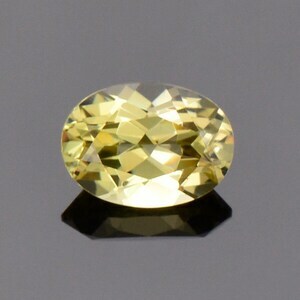 The stone is exceptionally clean and brilliant in hand. 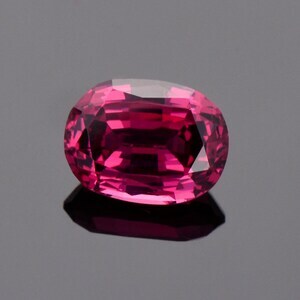 The stone is truly breathtaking and such great quality. 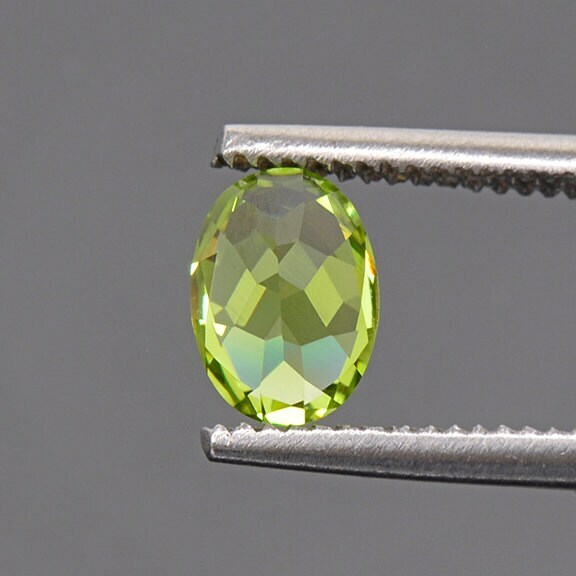 It glitters beautifully in hand and will make an excellent piece of jewelry, particularly a ring. Enjoy! 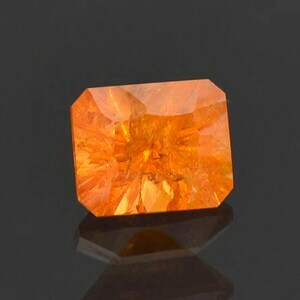 Bright Orange Concave Cut Spessartine Garnet Gemstone 3.59 cts.